Describing a kitten and a puppy. 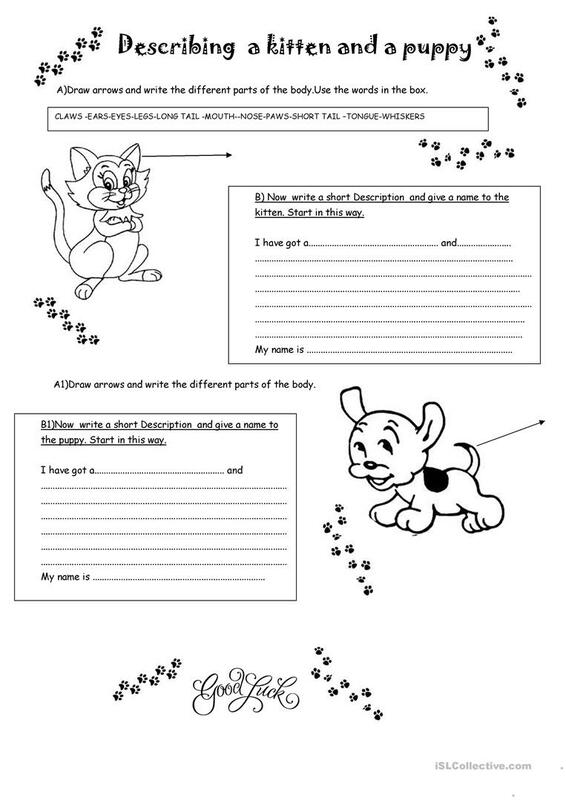 The above downloadable printable is intended for elementary school students and students with special educational needs, learning difficulties, e.g. dyslexia at Beginner (pre-A1), Elementary (A1) and Pre-intermediate (A2) level. It is valuable for teaching HAVE GOT or HAS GOT in English, and can be used for honing your pupils' Speaking and Writing skills. It is focused on the topic and words of Animals.